(Recto, print) lower center, below image, in black ink: "Close No. 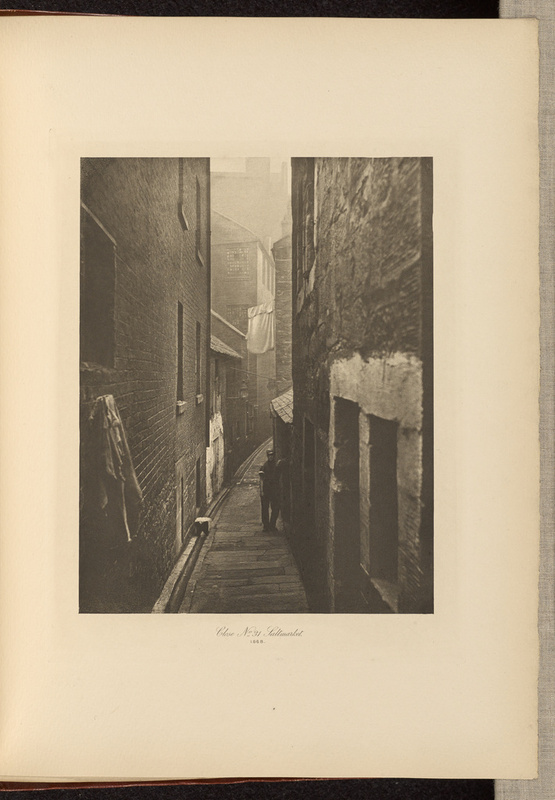 31 Saltmarket, 1868." A man leans against a building in a narrow close with a young child next to him. Washing lines hang above the passageway.